Tattoos With Intention Podcast | Listen Free on Castbox. Our bodies capture the journey of where we have been and what we have been through. You can see it in our wrinkles, scars and intentional markings. Discover how you can feel more empowered and connected to the act of getting tattooed, deepening your reasons for receiving them. This podcast is an investigation into where humanity is at energetically and the role tattooing plays in facilitating our transformation. It includes information on his process, journal entry style updates from being on the road, clients stories and of course interviews with prominent tattooers and traditional wisdom keepers from around the globe. Episode 1. Piotr Szot - Polish Dot-work Tattoo Artist Interview. Our bodies capture the journey of where we have been and what we have been through. You can see it in our wrinkles, scars and intentional markings. Mark Nara reveals insight into the finer details of the tattoo world and the experience of getting tattooed. He has been tattooing for the past 10 years and has dedicated the second half of his career to therapeutic tattooing - helping people share their stories on their skin. His aim is to bring a new perspective to the world of tattoo “it’s more than just art, or an ego statement.” Discover how you can feel more empowered and connected to the act of getting tattooed, deepening your reasons for receiving them. This podcast is an investigation into where humanity is at energetically and the role tattooing plays in facilitating our transformation. It includes information on his process, journal entry style updates from in the studio and on the road, clients stories and of course interviews with prominent tattooers and traditional wisdom keepers from around the globe. 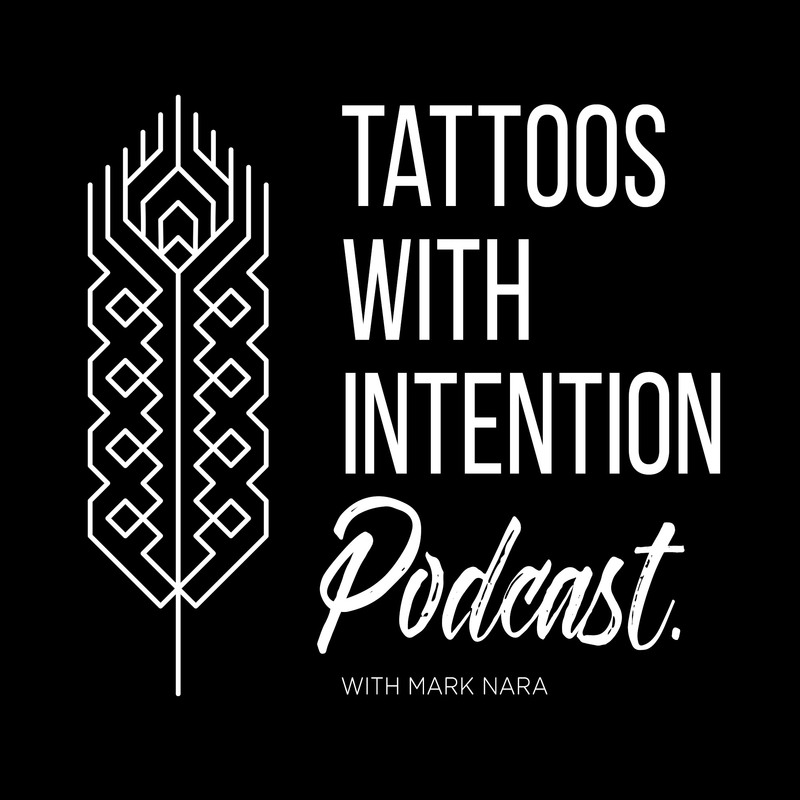 Intro - Tattoos with Intention Podcast.